Shoreline Sailboats is Western New York’s authorized Zim, Melges 14, Laser Performance, Bic, and Load Rite Trailers dealership serving Lake Ontario and the Finger Lakes. More about us below. We are located in Avon, NY. Our shop at 243 East Main St. is open by appointment. However, we would love to talk with you anytime about questions you may have about the purchase or rental of any of our sailboats. 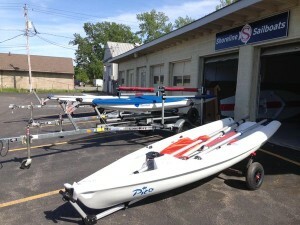 585-754-5315 for new boat purchases and/or parts. event or news postings, or general repair questions. 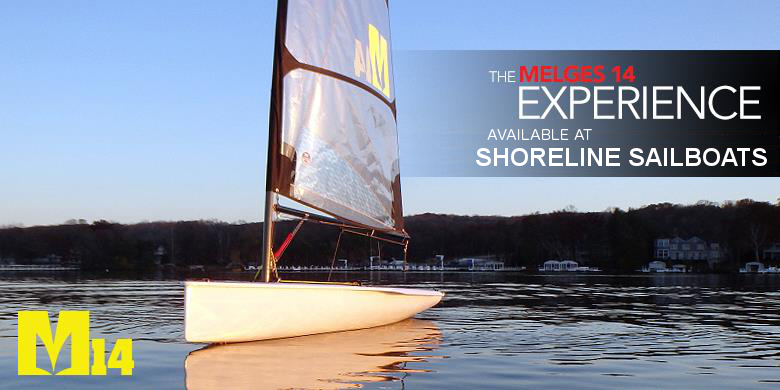 Shoreline Sailboats began in late 2012. 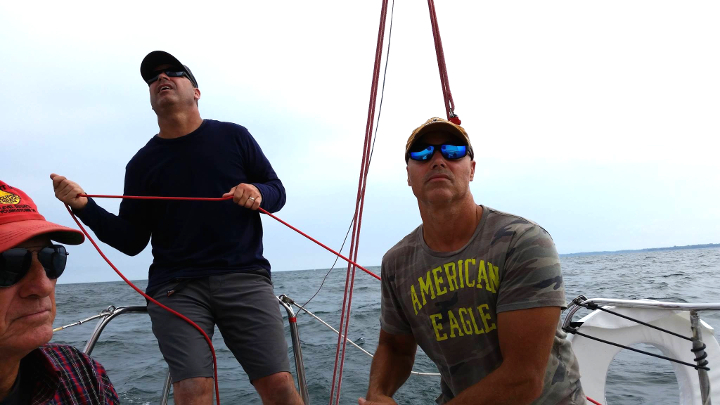 My brother Darren and I saw the decline of sailing in our area that started in the 1990s, but during that time we were starting families and didn’t have as much time to sail. Today, our own children are old enough to start sailing, but it is clear to us that the number of people we used to sail with has dropped by a large percentage. We had a lot of fun as kids sailing and racing sailboats on Lake Ontario, and we both agreed that the Sunfish was the one boat that gave us access to the water on almost any day of the year. Our family’s Sunfish was one of the most forgiving and thrilling sailboats we have experienced. Although the deck was faded and the sail was as soft as silk, it would take almost anything the Lake could throw at it. 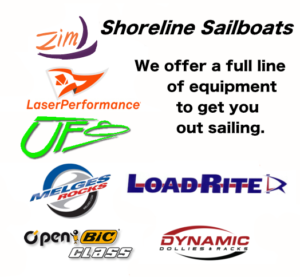 So, our new business begins out of the nostalgia of youthful days on the water, and a desire to bring families back to sailing. 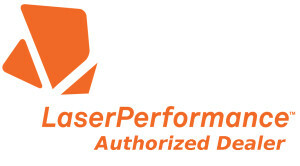 What better way than by offering Sunfish, new and rentals, along with the full line of LaserPerformance sailboats to sailors young and old. Racing at Oak Orchard, NY with our dad, Ray Leonard who taught us to sail. Darren, in the middle on the spinnaker sheet, and Kyle at the helm of SKYLARK.